We’re proud to be the largest carpet retailer in East Anglia, a reputation we’ve been building on since in 1946. We have carpet to suit any room, including kitchens and bathrooms and suitable for the most hectic of households with lots of traffic. Today we have an impressive range of over 10,000 carpets at our showrooms in Bury St Edmunds, Ipswich, Haverhill & Saffron Walden, offering inspiration for every home in a variety of styles, designs and colours. 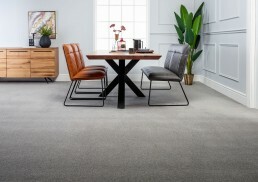 There is a huge selection to choose from including all purpose Berber, all purpose loop pile, Saxony carpets and twist carpets, from top brands such as Cormar, Axminster, Brockway, Victoria and Penthouse! 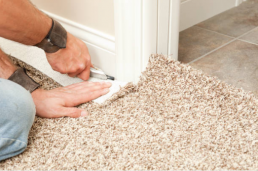 With just a little care, your carpet will last longer and look good throughout its life. To help you keep your carpet in top condition. At Glasswells we believe in making things easy for you and we’re proud of the professional fitting service we offer. 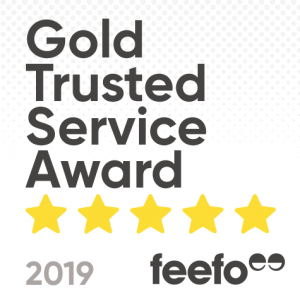 Our carpets are all fitted by trusted and dedicated flooring fitters. Our fitters will prepare your sub-floor as necessary and lay your new floor or carpet so that it’s just right. When they’ve finished, they’ll remove any excess materials and leave the room looking tidy, so you can start enjoying your beautiful new floor or carpet.